Want to go to Paris in first class? There are more than a few ways to fly to the City of Light in a premium class cabin for merely the price of taxes. The Saver award rate, the lowest available, will cost you from 100,000 to 125,000 miles per round trip, but the product quality will vary. Since many airlines are currently in the process of refitting their premium cabins with new types of seats/beds, it’s not always easy to know the specifics, but let’s take a look at a few of the options you have. 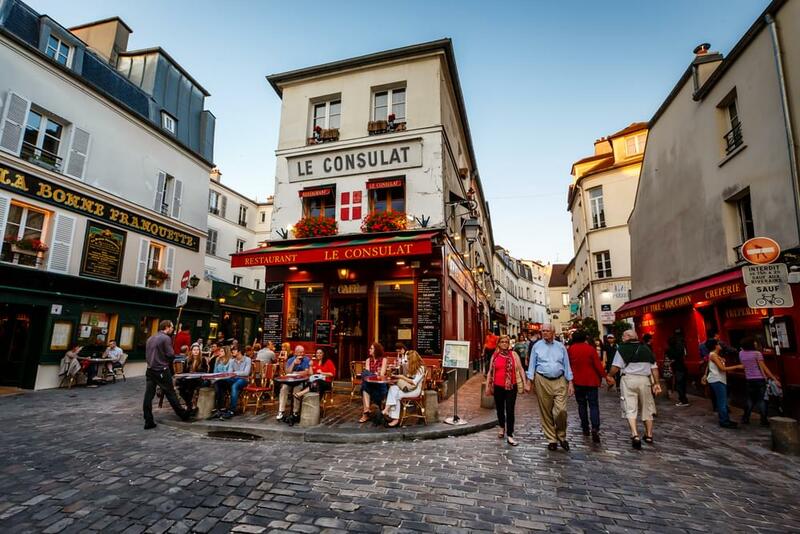 Using AAdvantage miles is the most economical way to fly to Paris or anywhere in Europe in a premium seat. The cost 100,000 miles per round trip, and availability is generally pretty good. What you might find difficult is getting a nonstop flight on American Airlines (AA flies to Paris out of Chicago, Dallas/Fort Worth, Miami, New York and seasonally from Boston). Having said that, I was able to find a few nonstop flights on a Saver rate for next summer. American Airlines currently has angle-flat beds on routes to Paris, but they’re in the process of refitting them for seats that let you lie flat. When you can’t find a nonstop flight, use American Airlines’ partners. US Airways, for example, has a better business class product via or out of Philadelphia called Envoy Sleeper with a flat bed cabin. Another great option is Finnair, which also has flat beds on their route out of JFK. On the other hand, Air Berlin’s business class cabin features old recliner seats, although availability can be very good. As always, avoid British Airways when you are flying across the pond. Though they have an excellent business class product, they charge ridiculously high fuel surcharges. Flying in style with United Airlines will cost you 115,000 miles on a Saver rate, but only if you fly on United planes. Otherwise, its 140,000 miles. Finding a business class flight can be a challenge, so check different departure cities. United Airlines flies to Paris out of Chicago, Newark, San Francisco and Washington. United’s business/first cabin is fitted with flat bed seats. Other, more expensive (140,000 miles) options include Lufthansa and Aer Lingus, among others. Lufthansa has an excellent transatlantic business class product, and Aer Lingus is in the process of installing flat beds on their routes to Dublin as well. Although I have lashed out against Delta, their availability on this route is not half-bad. You will pay 125,000 miles at the Saver Award level, which is more than with any other program, but all their planes feature flat beds, and the service is top-notch. Besides, they fly out of more U.S. cities than anyone else: Atlanta, Cincinnati, Detroit, Minneapolis/St. Paul, New York-JFK, Newark, Salt Lake City, Seattle/Tacoma and seasonally out of Boston, Chicago, Philadelphia and Pittsburgh. If you can’t find a nonstop flight, it is still possible to fly on Delta SkyTeam partners, except Air France. Delta blocks Air France on their trans-Atlantic and trans-Pacific routes, but there is still availability with KLM or Alitalia. Can’t Find the Round-Trip Award? Use Two One-Ways! You can already book one-way flights with American and United Airlines for 50 percent of the miles, and starting in 2014, the same redemption will be available with Delta. 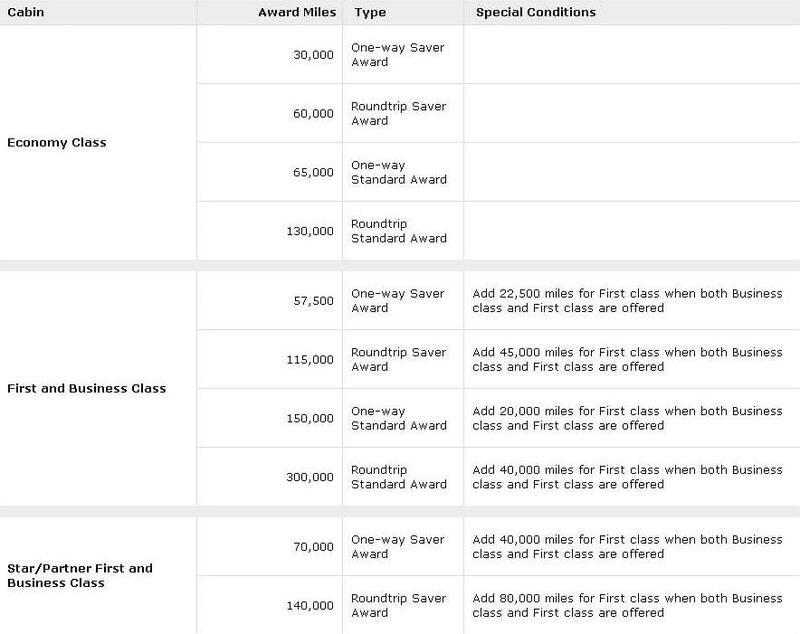 This is great news, because finding a premium-class round trip at a Saver award rate has always been a challenge, especially for two or more people. When you are able to mix and match airlines from all three alliances, things become a little easier.